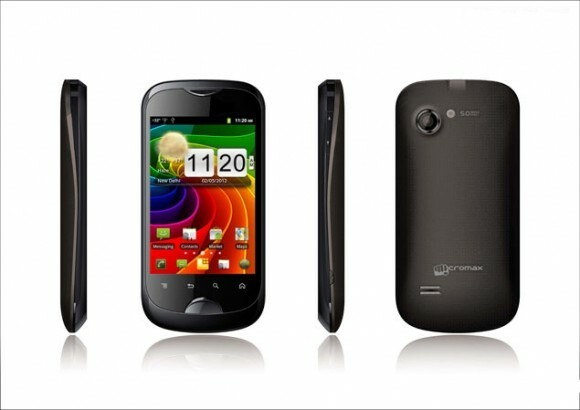 Micromax has launched another Android smartphone in the Indian market, Superfone A80 Infinity. This handset is targeted at the heavy users as it comes with a 2500mAh Li-ion battery that provides a standby time of up to 288 hours and a talk time of 7 long hours from a single charge. Micromax A80 Infinity is a dual-SIM smartphone with features like 3.8-inch display and Android 2.3.4 (Gingerbread). There is a 5.0 megapixel rear camera with flash and 0.3 megapixel front camera. Other features include 800 MHz processor, Wi-Fi, 3G and expandable memory of up to 32 GB. Priced at Rs. 8,490, it also comes pre-loaded with voice recognition tool AISHA, which stands for Artificial Intelligence Speech Handset Assistant. It is a Siri like voice assistant that helps users to update social networking sites, figure out phone status, know horoscopes, make language translations, inquire weather conditions etc.
? A80 Infinity provides talk time of 7 hours and Standby Time up to 12 days! New Delhi, July 10th, 2012: Micromax Informatics Limited (“Micromax”), the 12th largest handset manufacturer in the World (According to Global Handset Vendor Market share report from Strategy Analytics) today announced the launch of A80 Infinity recreating the magic of long lasting battery. Micromax had created a new category of phones with powerful battery backup when it launched its first phone X1i with marathon battery which standby time lasted over a month in the year 2008. With A80, Micromax again recreates that magic in its Superfone portfolio introducing A80 Infinity. Today’s youth demand an all-in one device which integrates their communication needs. With the Smartphone evolution, mobile phones are no longer a device that is just used for calling or texting or data usage but has diverse usage. The mobile phone has evolved into a multi-functional device that is used for getting directions, social networking, finding places, checking mails and much more and so long battery life holds a great importance to provide anytime anywhere connectivity and service. Micromax A80 is specifically designed for those Smartphone users who often complain of running out of battery juice due to heavy usage. A80 Infinity features a 9.525cm full touch screen and runs on Android 2.3.4 (Gingerbread). Users can enjoy undisrupted calling experience with the device which is equipped with a 2500mAh Li-ion battery thus providing a standby time of 288 hours and a talk time of 7 long hours from a single charge. This dual SIM phone is powered with an 800 MHz processor. The phone sports a 5.0MP camera with Flash users could also share these pictures through Bluetooth connectivity or instantly upload them on social networking apps or through Wi-Fi connectivity. A80 comes with multiple camera settings such as night vision setting, multi shot option, camera censor and multiple video recording formats. The phone also sports a 0.3MP front facing camera which can be efficiently used for a video calling as the device allows 3G connectivity too. Users can store images, videos, mp3 in the phone’s memory which could also expanded up to 32GB. Micromax A80 comes with voice recognition tool AISHA which helps users to update social networking sites, figure out phone status, operate functions of the device, find locations, know horoscopes, make language translations, view recipes, inquire date and time, weather conditions, and pose knowledge questions and a number of jobs to count on. Get live news feed through apps such as TOI. A80 provides the users with access to a plethora of apps such as Mibuddy, Mstore, What’s app and other apps from Google Play store. Superfone A80 Infinity is available at Rs. 8490/- This model will be available across all leading retail outlets across India.